Bhopal, Dec. 2: The Bhopal gas disaster and several issues linked with it continue to present a disastrous and gloomy picture even thirty years after the state capital was struck by the worst industrial catastrophe that claimed thousands of lives and left more than a hundred thousand others critically wounded and affected by the poisonous gas leak from the Union Carbide pesticide plant on the midnight of December 2 and 3, 1984. 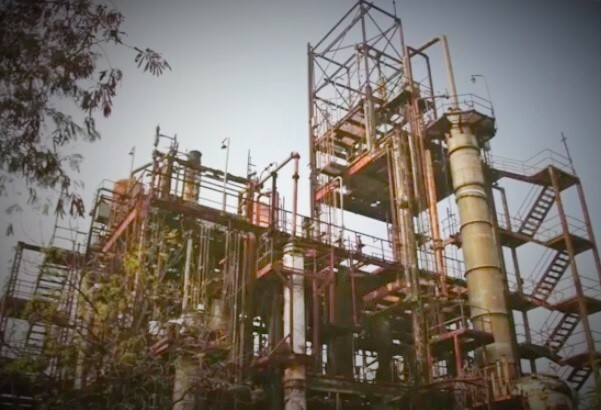 What led to the disaster, issues relating to the potential threat posed by the Union Carbide pesticide plant; the overall plant safety; and how functional were the safety devices installed at this ill-fated plant; whether or not full attention had been paid on the safety aspect by the Indian authorities before allotting the site for establishing the plant are some issues that have been taken up over a prolonged period as the Indian courts have been seized of the matter during the course of the hearing in the criminal case linked with the disaster, which remained buried for a few years at the intervention of the Supreme Court in February 1989 when it approved the $ 470 million out of court settlement towards compensation to the gas victims. The criminal case, a few years later got revived following an appeal. It is an entirely a different matter that even after the court of the Bhopal chief judicial magistrate convicted the Indian accused in this case for “homicide not amounting to murder” in July 2010, the culprits are out on bail. Warren Anderson, the former chairman of Union Carbide Corporation who was in Bhopal immediately after the gas disaster was given a safe passage and flown out in a state plane within hours of landing in the city. Aided by top authorities in India and USA, he managed to dodge repeat court warrants till his death recently. While a large number of genuine victims suffered due to the tardy pace of settlement of compensation, what is most tragic is that even those who were not affected by the poisonous gas leak managed to fraud their way with the clandestine help of the compensation disbursement authorities and could manage to extract from themselves illegal share when it came to compensation and monetary relief. Since a lot of easy money got circulated among the undeserving, the work culture and the availability of wage earners for unskilled jobs in the city was adversely affected and the problem got further aggravated due to rise in inflation by the sudden flow of cash in innumerable hands without matching contribution in terms of the production function. On the health and treatment of gas victims’ front, a massive infrastructure, comprising of hospitals and dispensaries was planned, designed and built under an ambitious Action Plan by the State Government and these efforts were further augmented by the Medical relief Gas Victims Project of the Indian Red Cross. The Bhopal Memorial Hospital Trust also built a huge hospital complex for the gas victims by funds acquired through confiscation of shares and assets of Union Carbide. The Bhopal Memorial Hospital and Research Centre, built exclusively for the victims has turned into a facility where all the high and mighty of Bhopal make a beeline as this has become the most preferred facility for VIPs. Once the Government of India took over its administration, the working of BMHRC, 350-bedded multi-speciality tertiary care centre, has come under a barrage of criticism on many counts. Rachna Dhingra of Bhopal Group for Information and Action said that BMHRC was built to extend to the gas victims free medical treatment but they turned them into guinea pigs to serve the interests of multinational pharmaceutical companies. The Red Cross dispensaries and hospital facilities built by funds transferred by the American Red Cross, including the hospital inaugurated by the then President R.Venkataraman within years of the gas disaster, were shut down once the funds were exhausted. The services rendered by the 125-bed Jawaharlal Nehru Hospital that came up near the now closed Union Carbide pesticide plant, besides several other smaller hospitals and government dispensaries in the worst affected parts of the city have continued to face many allegations. While the victims have continued to question the quality of services provided at these facilities, there are also allegations that the costly drugs that were supposed to be supplied free of cost to the victims were smuggled out and sold in the open market. The costly machines and equipment in these hospitals also got rusted due to disuse. The main reason for this was that the government authorities in-charge were more interested in building the brick and mortar buildings and purchasing equipment rather than recruiting staff and channelising funds for their salaries and the running cost. Today the State Government boasts of the Praiyadarshini Indira Gandhi hospital built in the Sultania Ladis Hospital Complex. It needs to be brought on record that fifteen years after the disaster, even a few years after the building for this 150-bed hospital had been constructed, only the outpatients’ department had been opened. Only a few years ago this hospital became fully functional. There was a huge delay in starting this facility as there was a prolonged tussle between the State Gas relief Department and the Health Department over the recruitment of Staff. Obviously no one in the bureaucracy or the political executive was interested in commissioning this hospital and handling the operating costs when all expenditure on construction and purchase of costly medical equipment had been incurred. The story was no different when it came to the 540-bed Kamla Nehru Hospital in the Hamidia Hospital Complex. The Comptroller and Auditor General had pointed towards siphoning away of funds from this project by the Capital project Administration but the Government of Madhya Pradesh chose to ignore the matter and nothing was done to fix responsibility. In fact the State Government should have hauled up those who had blocked massive investment in a facility that remained a dead-stock for many years. On the environment front, successive State governments have failed to pay even an iota of attention. The severely affected gas victims, most of them from the economically weaker sections, continue to live under sub-human conditions and reside in neighbourhoods and shanties lacking even the basic amenities. Concerted initiative has been lacking all these years to improve their habitat and surroundings by creating a functional garbage disposal system and the situation has been worst confounded by pollution especially caused by vehicular traffic due to ill-maintained roads and complete lack of traffic management in the old city where the most critically affected victims reside. Since a large number of survivors have suffered irreversible lung damage, their immune system has gone haywire and the poor environment aggravated by open drains and sewage and regular burning of domestic waste along the roads, are factors leading to the very high incidence of various kinds of diseases among the gas victims. A huge stockpile of toxic waste still lies inside the abandoned Union Carbide pesticide plant in Bhopal. The hazardous material continues to pollute ground water on a massive scale as the soil inside the factory premises, particularly in its northern and north-eastern side, remains contaminated by toxic chemicals. Under the previous regime led by Manmohan Singh, a group of ministers on Bhopal had recommended complete decommissioning and dismantling of the hazardous plant. This was to be done by the state government and the process was to be supervised by an oversight committee to be created by the Central government. The question that still remains to be addressed is how to clean up the polluted soil. The wastes are highly toxic in nature and contain chlorobenzenes, dichlorobenzenes, lindane and PCBs — chemicals that can cause cancer, birth defects and an entire range of systemic damage. These wastes were dumped both inside the factory premises and outside, in a landfill which has been leaking from 1981 onwards. Besides the huge stockpile of toxic waste collected and stored in a warehouse on the factory premises, what also needs to be removed is hundreds of tons of chemicals that are persistent in nature — chemicals that retain their toxicity for hundreds of years in some cases. Besides, heavy metals like mercury, chromium and nickel have been found in high concentration in samples drawn from places even three km from the now closed pesticide plant. “The killer factory continues to leach poisons into the ground water,” points out Satinath Sarangi, founder of Sambhavana Trust Clinic and Bhopal Group for Information and Action. Today thirty-years after the gas disaster, the victims are demanding immediate cleaning up of the Carbide site and revision of figures relating to deaths and injury caused by the Union Carbide gas disaster and additional compensation to the victims. It is a travesty of circumstances that the administration led by the democratically elected rulers have neither been able to settle the compensation claims in full nor could they, in any appreciable way, upgrade the sanitation , environment and the traffic situation in Bhopal aspiring to turn into a metropolis and compete with the best cities in the world. The disaster has left hundreds of thousand citizens crippled for life as they suffer the effect and after-effects of coming in contact with extremely toxic Methyl isocyanate (MIC) that had leaked from the Union Carbide Plant on that fateful night in December 1984. The gas victims are living with weakened respiratory system and other vital organs. They have been living and continue to die a painful and slow death. For them life has been reduced to a continuous disaster is the callousness and indifference of the authorities who have failed to do anything about the ever-increasing toxic gases being released into the atmosphere due to poor enforcement of the Air and Water Acts. A sympathetic, sincere and sensitive administration could have done so much for this unfortunate city and its environment for making the life liveable for the survivors but alas–human selfishness, human greed and human callousness intervenes to ensure that nothing could be done to alleviate those sufferings and what has been done continues to look like a sad reminder of what happened 30 years ago.